A MAN is to stand trial accused of trying to kill two women outside an Edinburgh hotel. 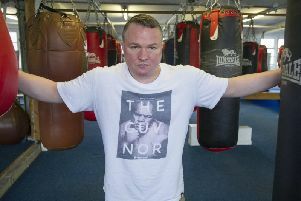 Peter Cameron, 38, today faced the claims during a short hearing at the High Court in Glasgow. He is charged with the attempted murder of Bernadette Lester and Gillian Clark next to the Apex Hotel in the Grassmarket, on November 8 last year. The women are said to have been repeatedly struck with a knife. Cameron is also accused of using a blade to assault hotel worker Neil Robertson to his severe injury and permanent disfigurement. He faces further charges of having a knife in a public place and attempting to defeat the ends of justice. Lady Stacey set a trial due to begin on June 14, in Edinburgh.